You do not have to love cats to appreciate videos. With smart devices like tablets and phones now equipped with decent cameras, it is easier to shoot videos and share them across various websites like YouTube, Facebook, Twitter and even on Instagram. 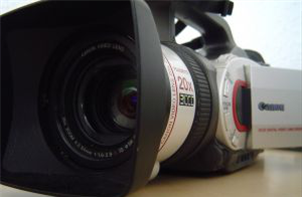 Videos are so versatile that even businesses should use them for a variety of purposes. Their unique combination of visual and auditory elements makes them perfect for conveying a brand's message and to promote products and services. Businesses can shoot their own videos using an iPhone and any microphone which can be bought in stores specialising in computers and gadgets. But for a more professional effect, businesses can opt for the services offered by companies specialising in corporate video productions. If you are a small business owner, putting yourself or a representative in front of the camera can allow you to build trust between your venture and your target customers. Instead of being simply sold a product or services, your customers become aware of the people behind the brand. Videos can also be used for a variety of events. During meetings with shareholders, videos can tell a story more vividly than a boring slideshow. So instead of showing attendees a lifeless series of graphs and charts, engage them through lively storytelling through the use of well-crafted videos. During company-wide meetings, videos can be used to reinforce the business's message pertaining to its values, mission and vision. Or they can be used to break the ice or simply provide an entertaining break from the drone of a long lecture. Videos can also be used for training new recruits and upgrading the skills of current employees. Larger businesses with personnel spread across various cities understand that training can be both costly and time consuming. So instead of herding new recruits into your headquarters, you can enlist the service of a video production company so that they can simply watch a video specially prepared for them at the satellite office. This also leaves the trainer with more time to do other tasks. If you host an online training session, you can record this and distribute copies afterwards for those who were not able to attend the webinar. Most businesses today maintain their own websites and blogs. Add variety to your content with a special video production. Corporate websites typically contain blog posts and pictures, but these can be boring at times, especially with longer blog posts. Whether you are making a round-up of industry updates or simply promoting a new product, videos can do the job adequately. In addition, you can use this asset for your social media campaign.